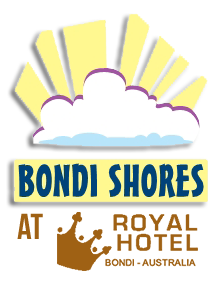 Bondi Shores quality hotel, motel, hostel, backpacker, bed and breakfast, student, long and short term accommodation with share facilities at affordable prices. If anyone has heard of Sydney, then they have heard about Bondi, and no visit would be complete without drive or ride to the premier and most famous beach in Australia - Bondi Beach. If staying at Bondi Shores you will be conveniently located only minutes walk away from Campbell Parade ( main street of Bondi Beach ), which features many popular cafes, restaurants and fantastic shops. Bondi Beach has it all. Everything is made easy for you at Bondi Shores backpacker accommodation, from entertainment advice to tour bookings -just ask. If you want to get the most out of your stay in Sydney, choose Bondi Shores Accommodation, the popular backpackers’ hostel in Bondi Beach.Bondi Shores accommodation is located in the heart of Bondi Beach so you can be sure that this backpacker’s hostel will be both comfortable and convenient. The friendly staff will make sure you have memorable stay in Bondi Beach. 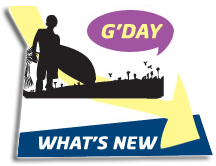 We look forward to seeing you at Bondi Shores backpacker accommodation soon. Looking for a hot shower only?